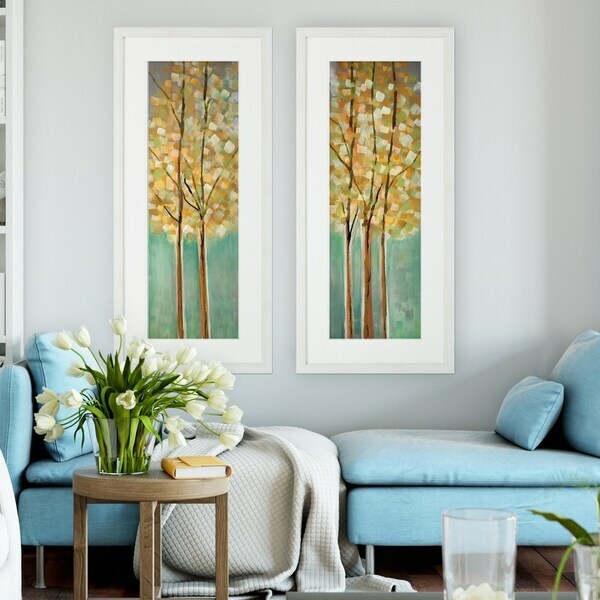 Shandelee Woods -Framed 2 Piece Set - 2 Custom Framed Prints. 100-percent created to last. Individually printed and framed by hand to very high standards. Printed and inspected one at a time utilizing the latest archival UltraChrome Giclee inks Available in 3 sizes for you to choose from Consisting of 2 Total Framed Pieces Each measuring 13"x29" x .75" deep Each Piece is Individually Framed Acrylic Glass 2 Inch Beveled Matt Each piece includes hanging accessories and is ready to hang. You need only to apply an anchor to the wall of your choice. Dimensions 29.0 In. X 13.0 In. X 1.0 In.